Kids’ entertainment specialist CAKE has sold a string of its titles in Asia, including the autism-focused toon Pablo. Deals finalised by CAKE’s sales manager Julien Farçat include over 250 episodes of preschool content signed with SVOD platform Tencent including, the second series of PBS space series Ready Jet Go!, Toby’s Travelling Circus and both series of Poppy Cat. Shanghai Senyu licensed fast-paced comedy action series Hareport while SVOD platform Mango TV picked up Pablo along with CBeebies hit series Olobob Top. Leading Korean pay TV channel C&J acquired a package of 272 episodes of pre-school content including Ella Bella Bingo and Poppy Cat, as well as both seasons of Universal Kids’ hit space series Space Racers. CAKE’s space titles also proved popular in Singapore, with Mediacorp signing deals for Astroblast! and Ready Jet Go! as well as CAKE’s award-winning coproduction Botternikes & Gumbles. Meanwhile in Thailand, True Corp licensed Pablo and Olobob Top in a package which included all Angry Birds TV content and Christmas special Frozen in Time. Bomanbridge Media, a Singapore-based content distribution and production agency has partnered with Amsterdam-based prodco, StoryZoo to take on all sales and localisation activities for StoryZoo in Asia Pacific. StoryZoo is an animated series with a strong education element. It is developed in collaboration with renowned language institutes and aims to provide kids with an interactive learning experience. In each episode, a magical book opens up and brings out the main characters, Toby the Monkey, Pepper the Parrot, and Bax the Bear. The very wise and calm Bax reads to the viewers, while Toby and Pepper create a visual experience. The curious trio visit birthday parties, a toy store, and a farm. 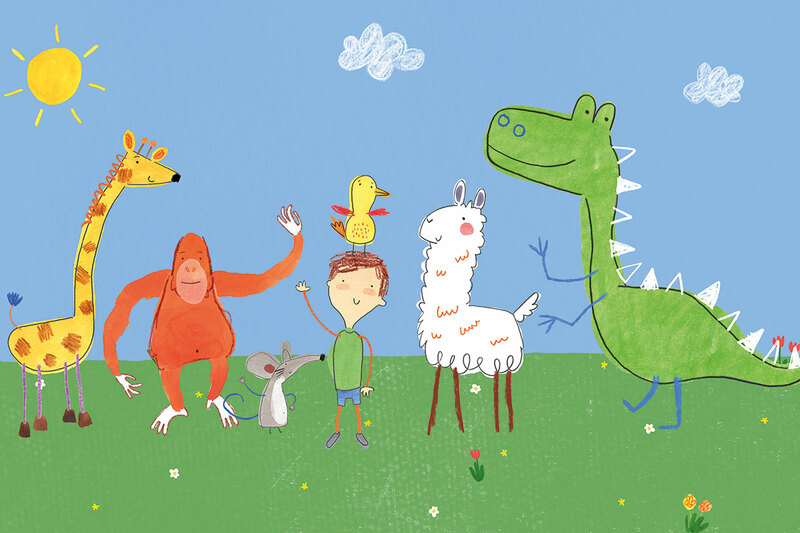 Bomanbridge will license StoryZoo’s catalogue and oversee localisation efforts, which includes the original TV series (26 x11-minutes and 13 animated songs), the StoryZoo Adventures (25 x9-minutes) and the StoryZoo At School (60x 5-minutes). “I am delighted to find such a perfect partnership with Bomanbridge in such an important territory. The completion of our beautiful second series with the 13 stand-alone songs as well as our 5 Van Gogh specials is already capturing interest with educational platforms across the region,” said Johannes Gropp, director and founder of StoryZoo. “We feel that Storyzoo has come up with a very commercial offering, whilst still respecting the delicate guidelines of educational content. It is smart and we are excited to help them in their growth within this region,” said Sonia Fleck, CEO of Bomanbridge Media. Herotainment, the New York-based company that produces YouTube smash hit animated series Smighties, has announced that it has teamed up with Chinese children’s entertainment and media company UYoung to represent the property in China. The fantastical comedy adventure series featuring the “small and mightiest heroes in the universe!” initially launched on YouTube Kids in July 2017, and its YouTube channel has amassed almost 30 million views to date, according to Herotainment. Created by Herotainment co-founders Caryn and Wade Teman with an Emmy-winning writing and composing team whose credits include DuckTales, Winnie the Pooh and Super Wings, Smighties is a 360-degree transmedia entertainment property aimed at boys and girls from four to eight years old. The Smighties star in three mobile games – Mighty Smighties, Smighty Stack and Smighty Sweeper. Additional mobile games are also currently in production for imminent launch.